On the list, 24% of 1,200 respondents chose Japan as their most desired travel destination, followed by South Korea which receiving 20% of the support of the surveyed. Meanwhile, Thailand was chosen by 12% of the respondents, Singapore,11% and US, 7%. The survey also revealed the choice of destinations by Vietnamese people are influenced by landscape with 48% favoring sightseering, culture with 43%, food with 25% and entertainment with 15%. Increasing numbers of Vietnamese people have been going abroad in recent years. A report by global market research firm Euromonitor in 2017 said outbound trips from Vietnam grew at an annual rate of 10-15% a year in the 2012-2017 period. 2018 is considered as a successfull year for tourism exchange between Vietnam and South Korea, according to the Korea Tourism Organization (KTO) in Vietnam. 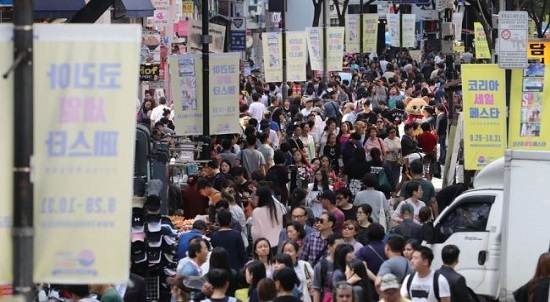 In the first 11 months of 2018, South Korea welcomed 427,000 Vietnamese visitors, up 42.1% compared to the same period of a year earlier. Additionally, the South Korean government has launched a new visa policy to Vietnamese in major cities. Vietnamese passport holders who reside in Hanoi, Da Nang and Ho Chi Minh City can apply for five-year South Korean visas and stay for up to 30 days per trip.